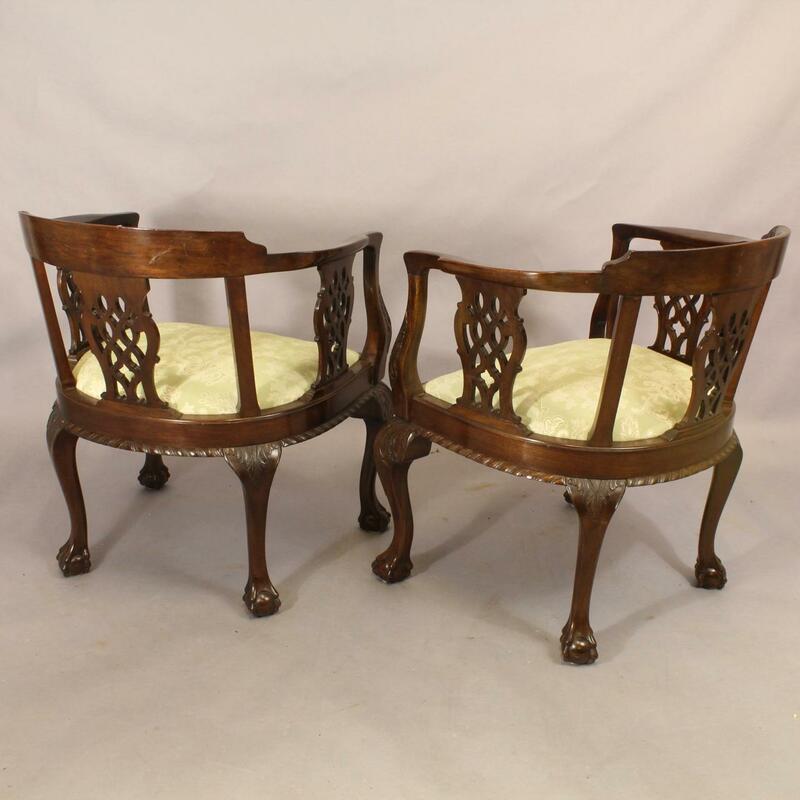 Pair of chippendale revival tub chairs of large proportions. 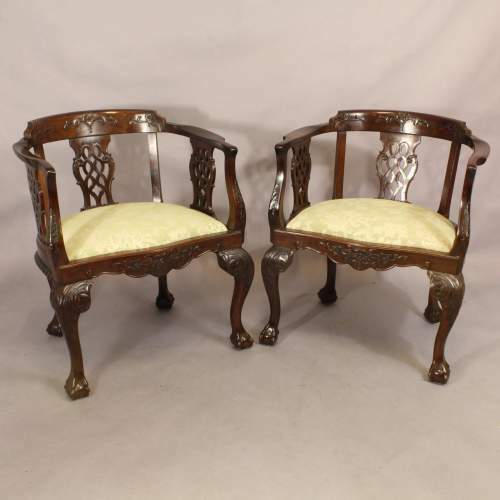 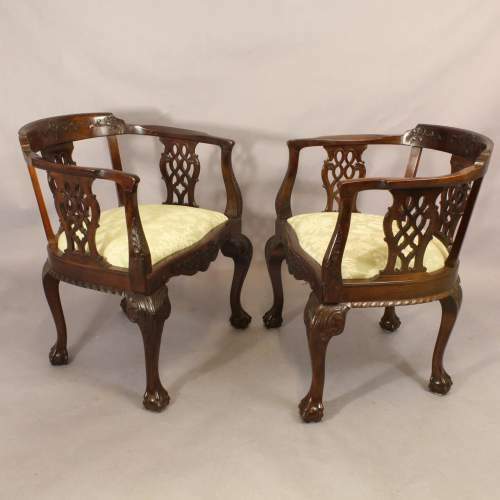 Unusually large pair of Victorian tub chairs. 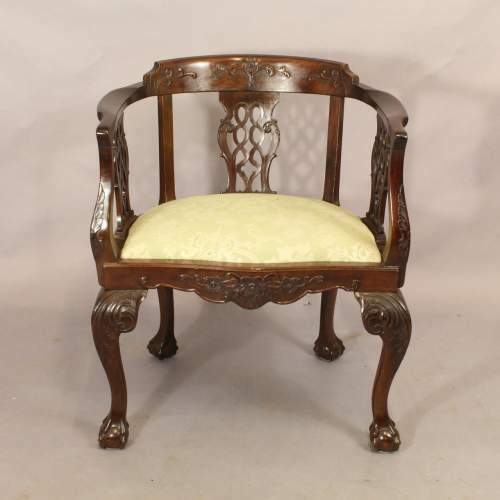 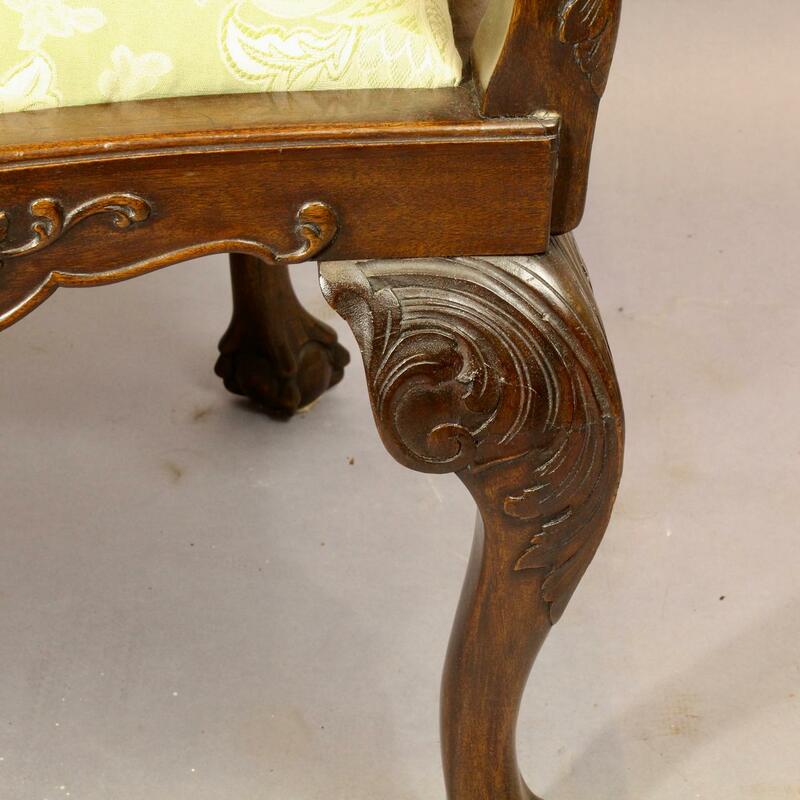 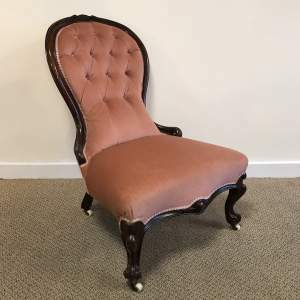 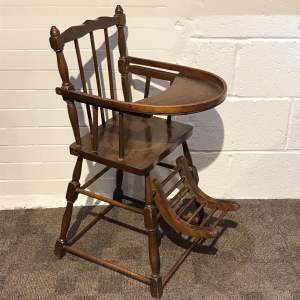 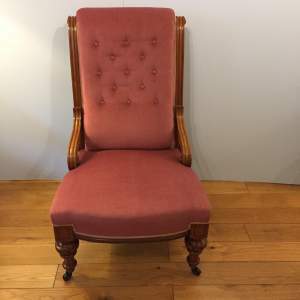 Carved in the chippendale revival style with ball and claw feet and pierced splats. 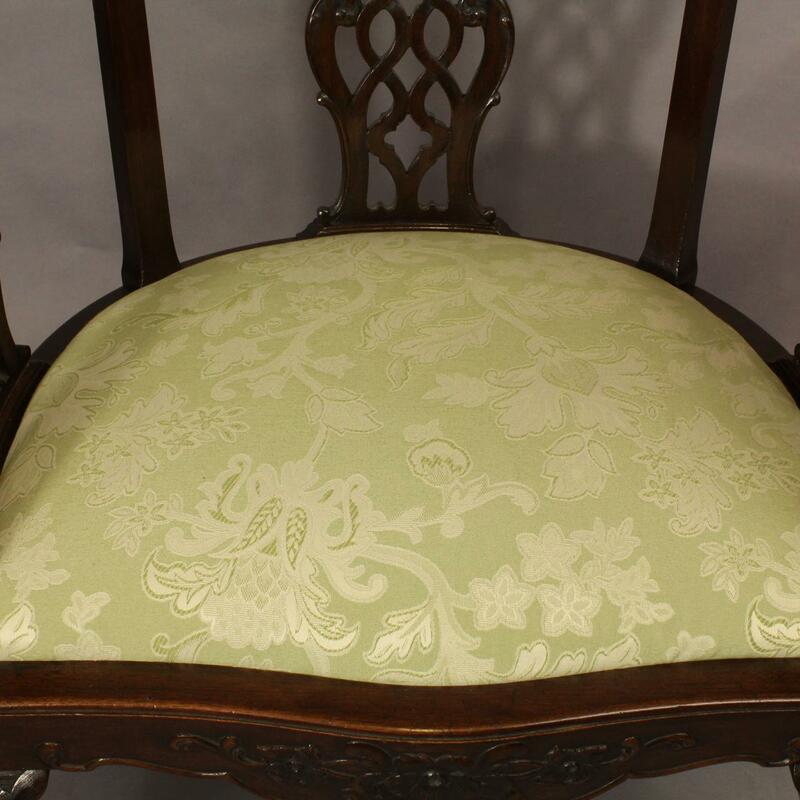 Recently upholstered in pale green damask.